This is the story of Jaycee McGinty. While finding herself in a slump a year after her grandpa’s death, she meets Rocky Jennings and believes he might be the person to help bring her back to life after her loss. But as soon as she begins to hope and slowly wake from the nightmare of Grandpa’s death, she wakes to another nightmare. Rocky is not at all who he appears to be. She suddenly finds herself fighting not only for her own life but for the life of her family and true love as well. Jaycee has courage and determination, but will it be enough to end the danger or will she have to end it by allowing Rocky to end her? After Jaycee McGinty and her sister survive a brutal attack at the hands of her ex-boyfriend, Rocky Jennings, Jaycee is eager to start living life again. Now that she’s been reunited with her high school crush, Maxwell “Blue” Bradshaw, she’s looking to the future and leaving her past behind. Blue Bradshaw is finally with the girl he fell in love with over a decade ago and he’ll do anything to make sure she’s happy. 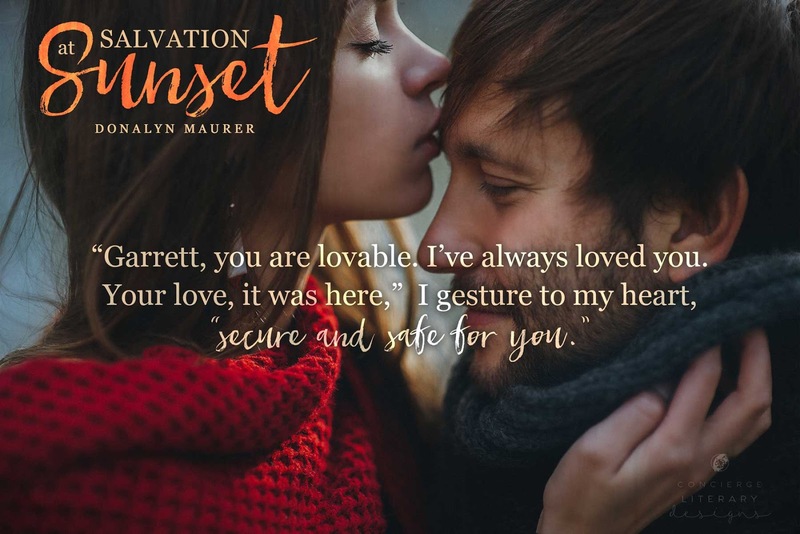 When an evil force surfaces and threatens Jaycee and her family, she knows she’ll have to fight for them once again to keep the precious happiness she’s built safe from harm. Lurking in the shadows is someone who’s been waiting for his chance at revenge. Abigail McGinty is the youngest of the McGinty siblings. She’s beautiful, funny, clumsy and fiercely protective of the ones she loves. Especially the man that managed to capture her heart, Nick Callaghan; her honeysuckle. Nick Callaghan, known as the prince of cattle in Lubbock, Texas, has been dodging commitment for as long as he can remember. He doesn’t want the responsibility of a wife or his family’s ranch. Until the day he meets Abigail McGinty, his fire. Abigail’s feelings for Nick are so strong they terrify her. Instead of running to Nick, she runs from him. After weeks of heartbreak, she finally makes the decision to leave her family and home in San Antonio for Lubbock to be with him. Soon she finds out she may have waited too long. Nick knows Abigail’s the one that will change everything for him, but when she pushes him away he’s heartbroken. One drunken night may cause him to lose her forever. While Nick and Abigail are trying desperately to make their way back to one another, the past rises up to meet them, threatening to shatter everything they’ve rebuilt. Will Nick and Abigail’s love be enough to weather the storm? Allison Holloway finds herself estranged from her family after a horrible tragedy. She loses her brother Cody when he makes the heartbreaking decision to end his own life after losing his best friend during a mission in the desert. Their family is left reeling in regret, blame and heartbreak. Heartbreak has blinded Allison, and after lashing out against her father, she runs away. When her mother calls fearing her father may be slipping into the same darkness, Allison reluctantly decides to come home. 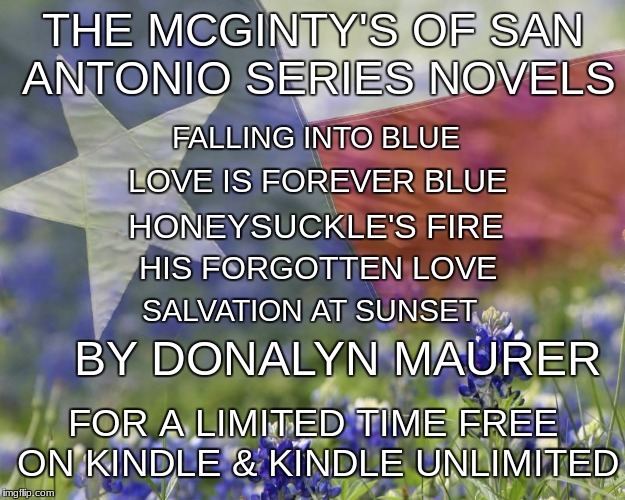 On the eve of her return she meets Jesse McGinty, and with his help she realizes how wrong she has been. Jesse McGinty meets Allison Holloway while visiting his sister in Lubbock and falls in love with her instantly. When Allison shares her family’s tragedy, Jesse vows to help her heal even if it means she has to face truths that will hurt to hear. He knows very well how the demons of war can haunt a soldier and also their family. Together they help each other face their pasts and build a new future. I fall in love with an angel. My angel has all of hell’s demons chasing him. An angel that I vow to protect. My angel is damaged. Ghosts of war haunt him. Ghosts of his past haunt him. Ghosts of hate seek to destroy him. He accepted a destiny of living within his nightmares. His destiny is about to be derailed. I will walk into his nightmare, straight into his hell and confront his devil. Even his devil knows when he’s been beat. Bringing Garrett Cooper back into God’s light and warmth isn’t going to be the problem. Even in the light he rejects the love, convinced he is unworthy of the love of God, or anyone for the matter. I will show him how wrong he is. I will love him. I will love him so much he’ll never question his worth again. Bella Rollins is the most beautiful girl I’ve ever seen. I want to make her mine but I know I can’t. She thinks I’m an angel but angels don’t come from Hell, demons do. When she finds out who I really am there is no way she can love me. I don’t love me. I won’t hurt her like I have the others. I have to protect her and that will mean letting her go. Texans know Texas is a piece of Heaven on Earth. Like Heaven has its Hell, so does Texas. Hell in the way of a small town and at sundown its demons come out. 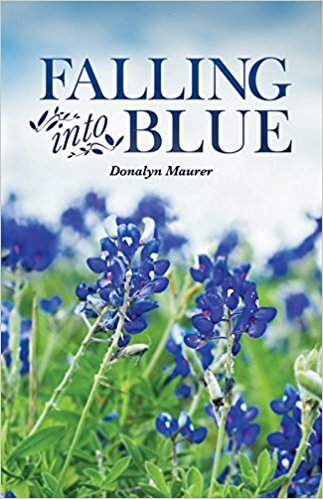 Donalyn Maurer was born and raised in San Antonio, Texas. She currently lives in a small town outside San Antonio with her husband of over 30 years. 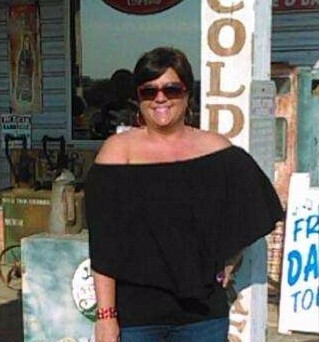 She enjoys spending time with her children and grandchildren and large Texas family. Inspired by her family she began writing and although her books are fiction she shares bit and pieces of her life and memories throughout the pages.